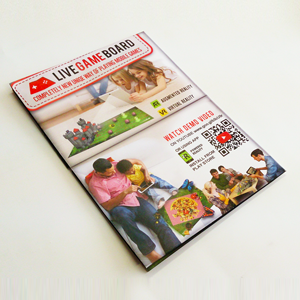 Your order is too heavy, please make more smaller orders or contact our sales department sales@livegameboard.com. Android phone or tablet with camera is required to play games on Live Game Board. 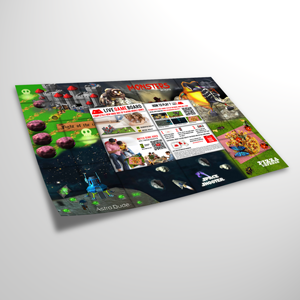 Plastic poster is a bit more expensive but is more durable and water resistant. Size of Live Game Board defines also size of games played on it. Small size of the board is suitable for table playing. Medium size is good for larger table play and playing on the floor. 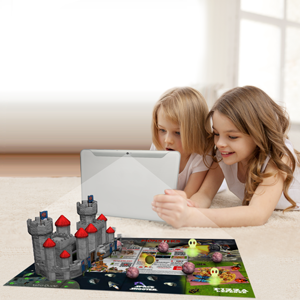 Big size is great for playing on the floor in your room in big scale. We need your name and address for delivery. We are registered in UK under company number 05652779 and with our registered office at 235 Earl´s Court Road , SW5 9FE London, UK. Our VAT number is GB899330181 . All notices you send us must be sent to the contact details on this site We may give notice to you at either the email or postal address you provide to us when making a purchase. [Notice will be deemed received and properly served 24 hours after an email is sent or three days after the date of posting of any letter.] In providing the the service of any notice, it will be sufficient to prove, in the case of a letter, that the letter was properly addressed, stamped and placed in the post and, in the case of an email that the email was sent to the specified email address of the addressee.